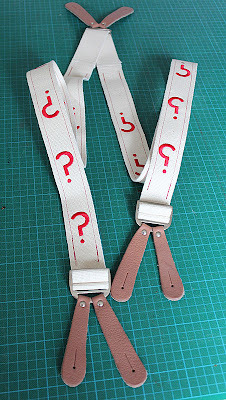 This is a rather nice item that’s for sale on eBay at the moment. 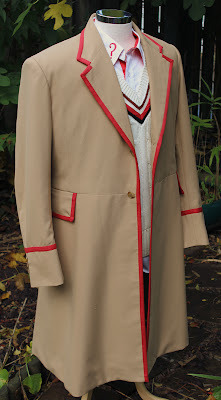 Bit better than anything in the Bonhams Entertainment Memorabilia sale this summer. 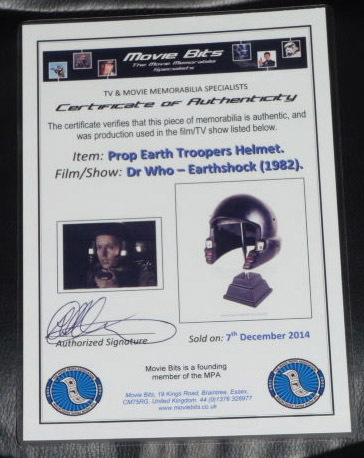 An original Earth Troopers helmet worn on screen in Earthshock (1982) starring Peter Davison as the Doctor. The helmet is made from fibreglass. 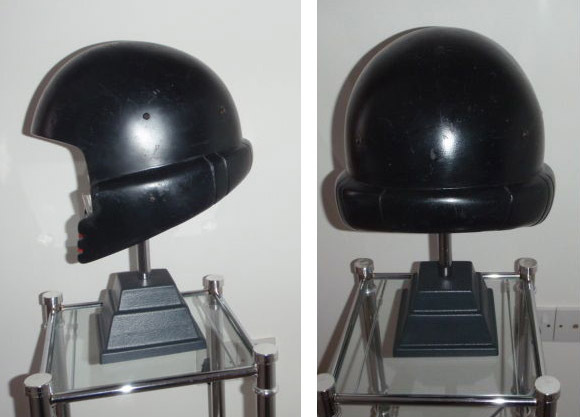 This helmet is still in it's original condition, hasn't been repainted like other helmets that where used in another Doctor Who story. This Trooper helmet still has the original lights in the sides, also has the cradle inside that goes around the actor's head. 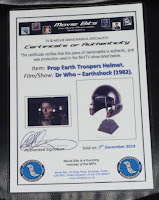 The helmet is still in a lovely screen used condition ! 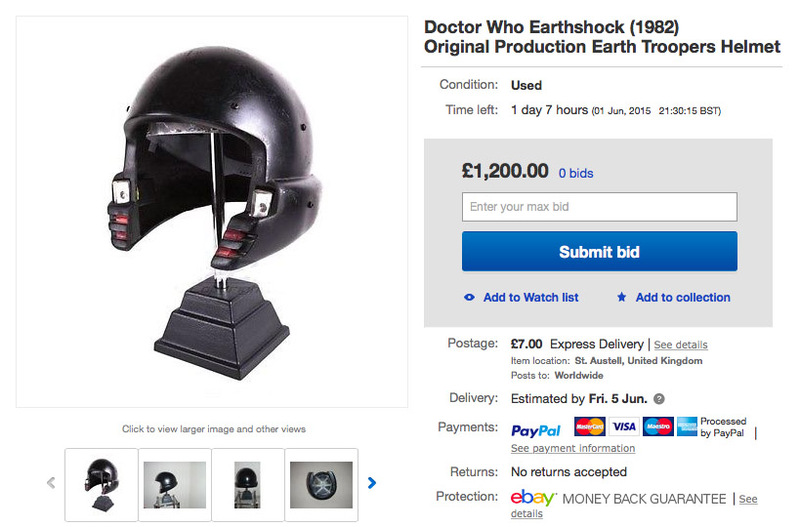 I only know of a few of these's helmet out there, a very rare Doctor Who prop.